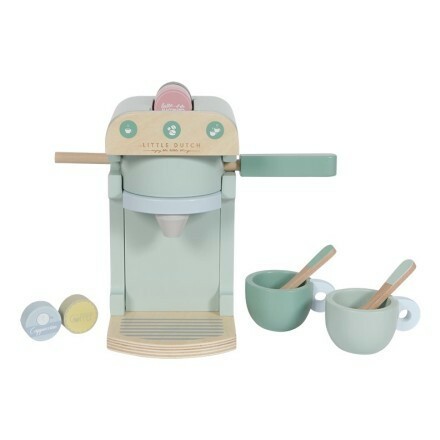 With this wooden coffee machine in soft mint from Little Dutch, little ones will make the most delicious coffee! 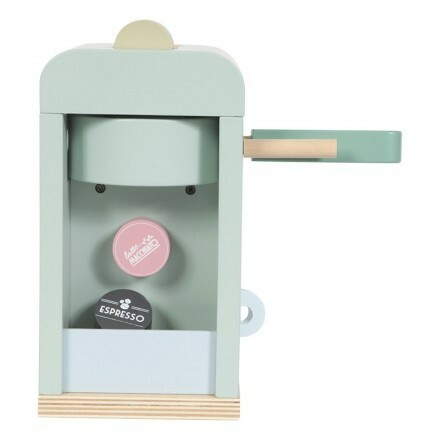 The coffee machine consists of 10 pieces and includes: two cups, two spoons and five flavours of coffee in different oastel colours: lungo, cappuccino, latte macchiato, coffee and espresso. This machine is a beautiful wooden toy and a real asset in every play corner and (toy) kitchen! 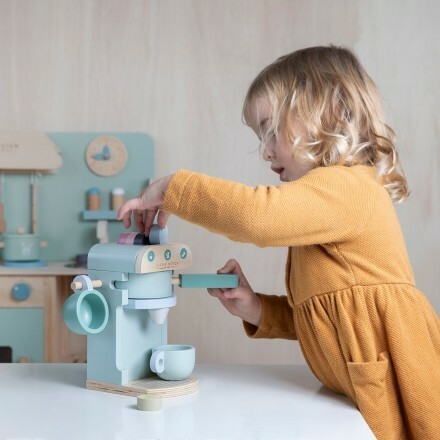 Perfect for children aged 3 years+. 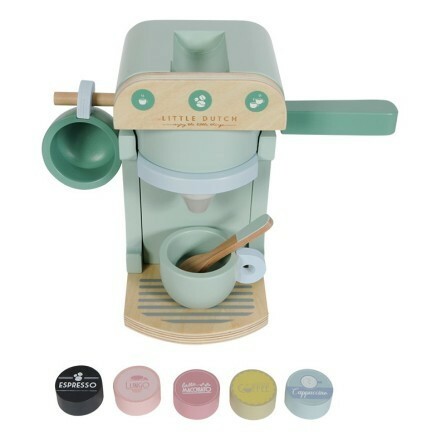 Not suitable for children under 3 years due to small parts and choking hazards.